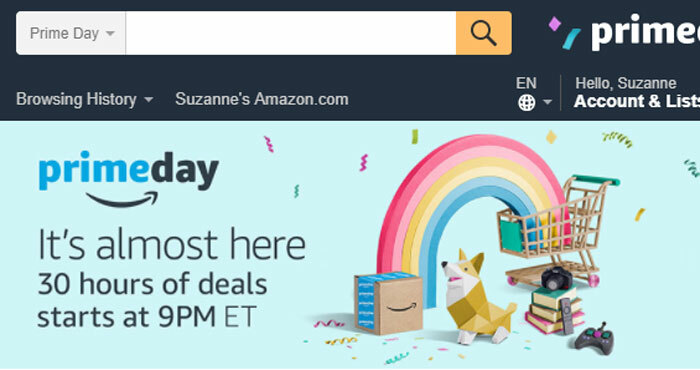 Amazon's summer sales event, Prime Day, kicks off at 9PM EDT tonight, which means it's time to get ready to shop. While it isn't quite Black Friday, this is a great opportunity to snag some deals, particularly on Amazon products. So if you've been holding out on adding Alexa to your smart home, now is the right time to click the buy button. However, Amazon's best sales can come and go quickly. Prime Day is notorious for being packed with Lightning deals that will be posted throughout the day and sell out fast. To keep track, Alexa device owners can ask "Alexa, what are your deals?" to find the best sales at any given time, but if you already have a shopping list you should download the Amazon app and track the deals you're interested in. (Just go to "Today's deals" and then click "Upcoming." For anything you're interested in, click "Watch this deal" to get notifications.) Adding items to your wishlist can also help you keep track of whether anything you want is on sale. But if you'd rather spend less time searching for deals and more time buying them, we rounded up some of Prime Day's best deals so far. The entire Alexa-enabled smart speaker lineup is on sale, including the Echo (half off at $89.99), Amazon Tap ($79.99) and Echo Dot ($34.99). Most Kindle e-readers are on sale, but we would recommend the Kindle Paperwhite ($89.99), which offers a good price for a great screen. Parents may be interested in the Kindle for kids bundle ($69.99), which includes a Kindle, a case, and a 2-year warranty. Fire tablets are another good buy, offering solid tablets at bargain prices. Budget users will want the new Fire 7 ($29.99), but the larger Fire 8 HD ($49.99) comes with more power and a bigger screen for just a bit more. Both tablets also come in kids' editions (for $69.99 and $89.99, respectively), which come with a case, a 1-year subscription to Amazon's kid-friendly digital content service and a no-questions-asked 2-year warranty — making it the perfect tablet for kids of any age. Dash buttons — physical buttons from Amazon that you can stick in your pantry and press to place an order when you're out of essentials — may be one of this year's best buys. The buttons usually cost $4.99 and give you a $4.99 credit on your first Dash order. However, for Prime Day, they'll cost $0.99 and still give you that $4.99 credit. If you don't shop on Amazon for groceries, Prime Day may be the time to start with great deals on everything from pantry staples to fresh fruit. Up to 25% off on summer essentials on Prime Now, including ice cream and fresh fruit. Assuming you're in a Prime Now delivery area, you'll get your groceries within two hours. $10 off your first Prime Now order and a $10 coupon for a future order using the coupon code 10PRIMEDAY. $50 off August Smart Lock ($144.99), one of our favorite smart home gadgets. For gamers, you'll find up to 50% off video games, consoles and accessories, or up to 40% off PC gaming laptops, desktops and accessories. Though these are the best deals we've found so far, you can keep an eye on the latest sales on Amazon's Prime Day page or in the Amazon app. You have to be an Amazon Prime member to shop, but signing up for a 30-day free trial will let you in on all the deals.